Wash, clean and cut the chicken to medium sized pieces. Add the cloves and cinnamon and when they splutter, add the onions and sautT till they start turning yellow. Add the shredded ginger and garlic and continue to sautT. Add the tomatoes and continue to sautT for a minute. Add the chicken and turmeric powder and mix up well and cover with a lid and cook on medium heat for 10 min. Add coriander powder, chilly powder, chicken curry powder and salt and mix it up well. Add 1 or 2 cups of water depending on how much gravy is desired. Remove the lid and let the pan remain on the stove till the gravy comes to your desired consistency. Add pepper, freshly powdered cumin and fennel. Roast it for a minute and add it to the chicken and mix well. 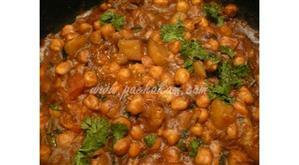 :- Serve hot with pulao, plain rice or chappathis. Sam, the masala is Eastern chicken curry masala available in stores in Kerala. easy to prepare and very tasty dish. This turned out real good...try it out!!! 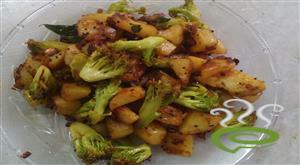 it`s really very very tasty & VERY EASY TO MAKE. 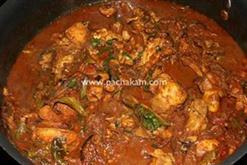 What`s this chicken curry powder, u shd either mention the brand or the method to make it. Very very tasty recipe..and easy to make. Yummy recipe! and hassle free. Came out to be so delicious.